Pharmacological Elements: Caffeine, flavonol, tea polyphenol, vitamin C and E, catechins, carotene, minerals including zinc, selenium, and florin. There are many legends as to the origins of tea, but somehow, somewhere in modern day China, some leaves from the Camellia sinensis plant ended up in some hot water, most likely in the Yunnan region of China about 3,000 years ago. From there, people throughout China simply collected and dried Camellia sinensis leaves and stored them until needed. What began as food became a medicine, then a regional beverage, then a royal prerogative, then a cultured ritual, then a trading commodity and finally a beverage for the masses. Stabilizes the final moisture content of the leaves, stops fermentation, prevents mould growth, removes any grassy leaf taste and develops the tea's aroma. Sun drying, pan heating and hot air methods are used. Because Green Tea is exposed to the least amount of processing, this tea retains more of the naturalness of the tea plant than any other tea. More than 85% of the caffeine, 50% of the chlorophyll and most vitamins are retained. Because Green Tea is exposed to the least amount of processing, the leaves are subject to natural enzymatic breakdown by oxidation just like any other organic material and faster than other teas. Green Tea is best kept in a cool, dry place in an airtight container or even in a refrigerator. We recommend refrigeration which actually improves the taste of the tea, as well as making it last much longer. However, if refrigerated storage is used, the tea should be kept refrigerated at all times as successive warming and cooling will degrade the tea. The history of tea begins with the history of green tea. Somehow, somewhere in modern day China, some leaves from the Camellia sinensis plant ended up in some hot water, most likely in the Yunnan region of China about 3,000 years ago. People first ate the fresh leaves and then collected, dried and stored them until needed. In time, the leaves were boiled with items ranging from spices, fruits, vegetables and meat. By boiling tea leaves with bark, roots and other plants and observing the effects, through trial and error the earliest foundations for what would become Traditional Chinese Medicine were established. By the 1st century BCE, the Emperor of the Qin Dynasty (221 - 206 BCE) unified China, consolidated the first stage of The Great Wall and built his tomb with the Terracotta Warriors standing guard. For the first time, tea leaves were being boiled without any other ingredients and tea was being enjoyed as a beverage in its own right, rather than as a medicine. It was during this time that word about tea spread throughout the Empire and became a much sought after commodity. At this time, tea leaves were dried and charred, yielding a bitter and astringent brew. Between the 1st and 6th centuries CE, the technique of steaming, compressing and baking the leaves into hard tea cakes was developed. This technique transformed green tea into a sweeter brew, no doubt quite strong and astringent by today's standards. It was during the Golden Age of the Tang Dynasty (618-907 BCE) that dedicated tea growing gardens were created and sophisticated production methods established. Tea was made by scraping the tea cakes and boiling the scrapings and sometimes adding fruit and flower flavouring such as Jasmine. Cheap and low quality tea cake made from stems and leftovers was traded with border regions who valued the tea as a welcome supplement to their meager diets. This tea became known as “border tea” and in these regions, even served as currency. Within China, tea drinking became a refined and sophisticated pastime and was subsequently introduced to Japan by Buddhist monks. The Japanese took the ritual aspects of tea to entire new levels and have maintained the transcendental view of tea drinking established by the Tang into the modern age. In the Song Dynasty, (960 - 1279 CE), tea production, consumption and refinement reached yet higher levels. Powdered green tea whipped into a froth was first developed and sophisticated pottery exclusively for use in tea drinking was designed. Under the Yuan Dynasty (1271 - 1368 CE) of the Mongols of Kublai Khan, who had been brought up on pungent border tea, tea leaves were first roasted and in the Ming Dynasty (1368 - 1644), oxidization techniques were discovered and a new kind of tea became all the rage - Red Tea (known as Black Tea in the West). Today, China is the world's largest Green Tea producer, followed by Japan, Vietnam, Korea and other countries. 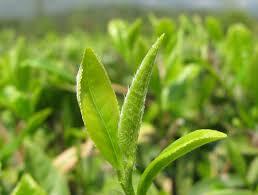 Tea for Green Tea production is grown in 18 provinces in China, yielding about 400,000 tons annually. Green Tea is also China's largest tea export, which accounts for about 80% of the world's total Green Tea trade volume. What began as food became a medicine, then a regional beverage, then a royal prerogative, then a cultured ritual, then a trading commodity and finally a beverage for the masses.